We are offering Pre Fabricated Tank to our customers. We Shubham Acqualink (India) Private Limited began its functioning in the year 2001, as a manufacturer of high-quality Rhino and Reliable Flexible Tanks. 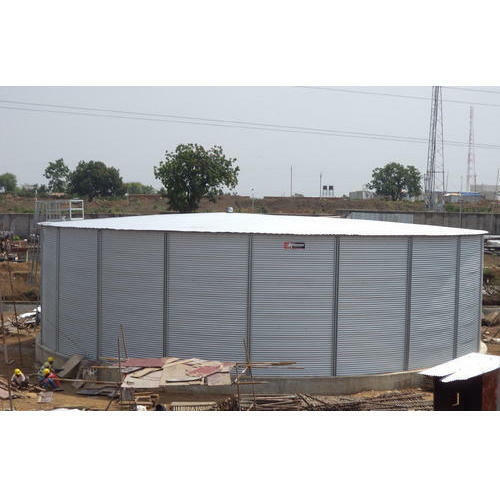 Offered products range consists of Industrial Storage Tank, Underground Water Tanks, Water Tank, Steel Tank, Glass Fused Steel Tanks and more. All offered products are made using quality tested material and latest machines. These products are well known among our clients due to their fine finish, excellent strength, crack resistance, optimum quality, and lightweight. We are aided by a fully-integrated infrastructure facility, which is laced with the modern tools. It enables us to develop quality adhering array of products in bulk quantity. Moreover, this facilitates quality testing of our range of rhino and reliable flexible tanks, to make sure that these meet the quality norms. To assure that all the processes run smoothly, we have separated our infrastructure into departments like manufacturing, quality, logistics and R & D. Due to our on-timely delivery and easy payment options, we are able to get the faith of our respected clients.